Gites to comfortably accommodate 2 to 20 people! Situated in the Vercors mountains, our gites, (holiday-rentals), are your gateway to the Natural Park. All of our gites are equipped to a high standard (classed with three stars, or ”épis” with the official Gites de France quality label). Le Fouletier is the ideal place for your holidays, be you with your family, amongst friends, or an organised group. You can come and experience the calm of our gites in any season, with the opportunity to nature-watch, admire the flora, or to take part in outdoor sporting activities: canyoning, caving, hiking, mountain-biking, cross-country skiing or snowshoeing. Given that we haven’t translated the entire website, here are a few terms translated to help you understand the gite descriptions and the price rates. And for when you are on holiday with us, don’t worry, we can always find a way to communicate successfully! Ondine and Loic are qualified guides (licenced with the French Brevet d’Etat certificates) and propose a range of outdoor mountain activities in the Vercors, right from the doorstep of the Fouletier Gites. Visit our Activities page to find out more! We can be your guides for a range of expeditions: caving, canyoning, mountain-biking, hiking, cross-country skiing or snowshoeing… Let yourselves be tempted by a taste of adventure! On site we have two electric mountain-bikes on available for rental, as well as cross-country skis and snowshoes. We can also advise you on your itinerary, or even put you in touch with other activities nearby (hiring a donkey for trekking, for example, or a dog-sledding centre). 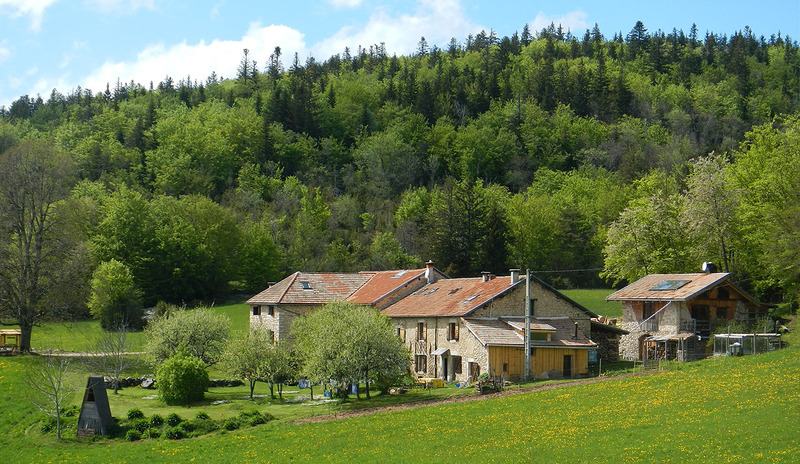 For your convenience: From the doorstep of our gites, directly into the surrounding nature!